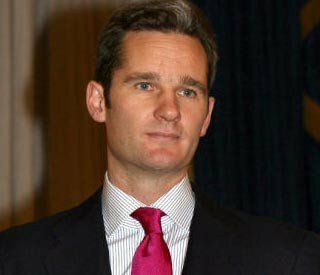 Inaki Urdangarin, the Duke of Palma and the Spain’s King Juan Carlos’ son in law, has arrived at court in Mallorca to face a corruption probe. Inaki Urdangarin is being investigated over claims he misused public funds given to a foundation he ran. The duke has denied any wrongdoing in the case, which has been a rare embarrassment for the popular Spanish royal family. “I come to clarify the truth and defend my honor,” the Duke of Palma said as he arrived. “I have carried out my responsibilities and taken decisions in the right way and with complete transparency,” he said, according to Spain’s El Pais newspaper. Scores of anti-monarchy protesters demonstrated noisily nearby as the duke arrived. Some waved signs reading “Inaki owes us money” and “Monarchy Corruption”, the AFP news agency reports. Inaki Urdangarin, who has not been formally charged, was suspended from official royal engagements in December last year. Exact details of the accusations against the Duke of Palma have not been made public but he is reportedly accused of misdirecting part of some 6 million Euros ($8 million) sent to his not-for-profit Noos Institute by regional governments to organize sporting events. It is alleged that some of the money ended up in companies that the Duke of Palma ran. The events in question happened between 2004 and 2006, when the duke stepped down as head of the institute. Inaki Urdangarin, a former Olympic handball player, is married to King Juan Carlos’ second child, Princess Cristina. On Thursday the duke’s family released a statement defending his innocence and attacking what they called a “campaign of harassment” against him, AFP reports. In response to the scandal, the Spanish royal family announced in December that it will make its accounts publicly available.